These simple, glitzy, spooky creatures can add fun to a witch’s pointed hat, become a hair ornament, or a piece of jewelry. They can decorate a houseplant, or even hang as an ornament on a Christmas tree! 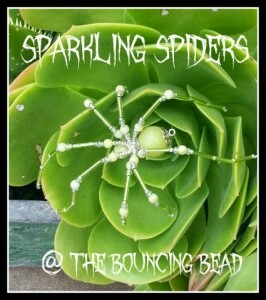 Creepy for arachnophobes, but fascinating for everyone else! This class is a combination of the basic and advanced coiling gizmo classes. 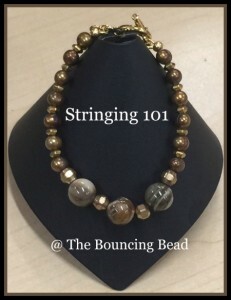 You will learn several techniques, including single, double, triple coiled beads, and beaded coiled beads. We will also be introducing the Conetastic; an awesome way to make cones, bead caps, and more! Create this fun and intricate bracelet learning how to weave strips of metal in a circular pattern to create the body of the bracelet. 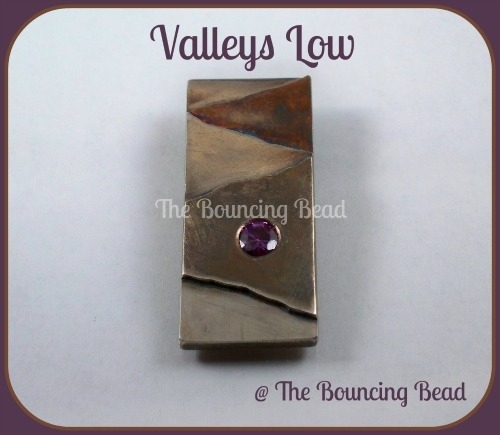 The ends will then be fabricated and soldered to the bracelet, and will be finished off with a fun, decorative clasp of your choice. Soldering and fabricating techniques covered will include the use of paste solder, as well as dapping/doming of metal and metal weaving. 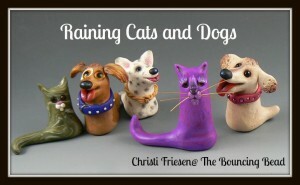 This assortment of dog and cat projects will be doggone fun! Meow! Beginners welcomed! What does the Fox Say? Steampunk! 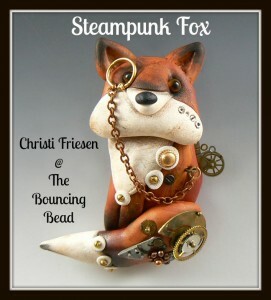 Have fun creating a steampunk Fox focal bead! Beginners welcomed! 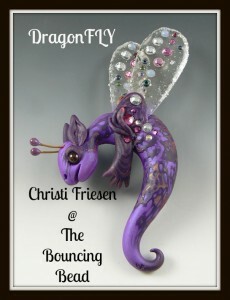 Polymer and resin combine with crystals to make the wings for this delightful dragon... fly! Beginners welcomed! 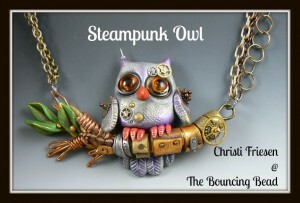 Owls are especially fun when they're steampunk! 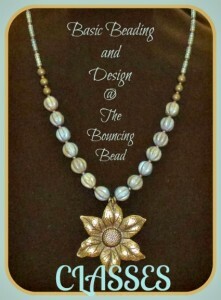 This focal bead project is a hoot! Beginners welcomed! 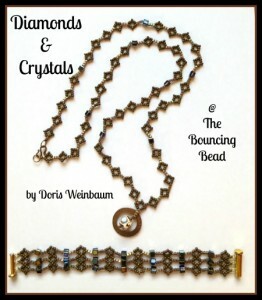 A lovely and delicate bracelet of pinch beads and crystals or fire polished beads with a unique clasp technique. Perfect for last minute Holiday gifts … or reward yourself for all you do all year long! 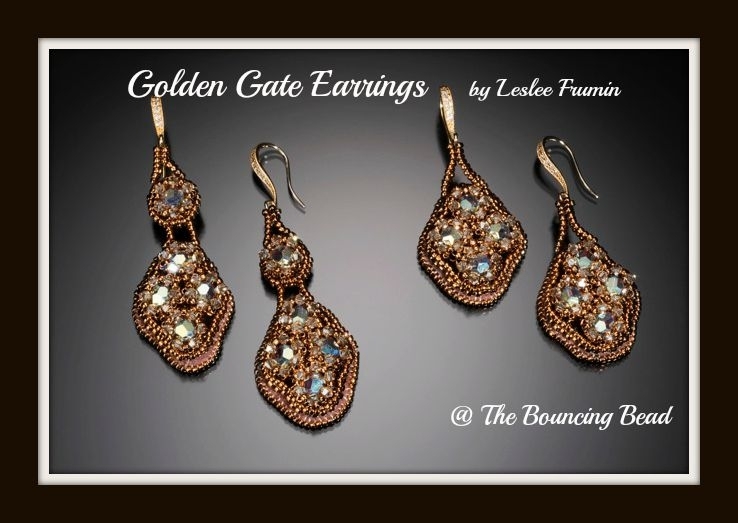 These earrings are so much fun to make. 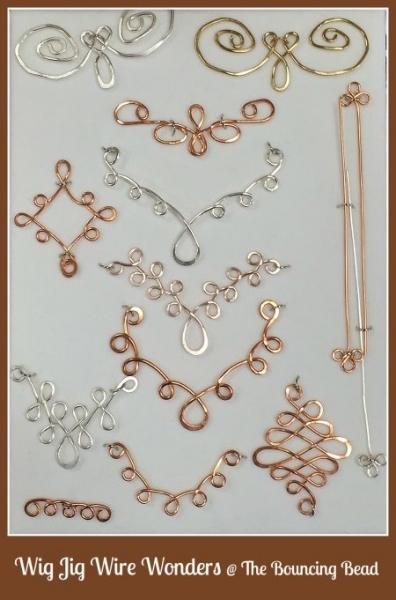 Included in this class is one set of a wire base of your choice, but given instructions and templates of all four shapes to make your own, because you will want to make more! A variety of seed beads and crystals are combined, using brick stitch, to make amazing, colorful earrings that have lots of movement. The crystal dangle adds just the right touch of bling. 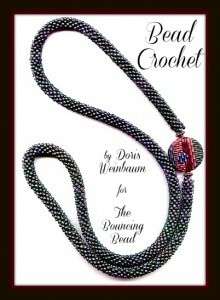 Using wire, beads, and a crochet hook, I will teach you how to make an amazing necklace! 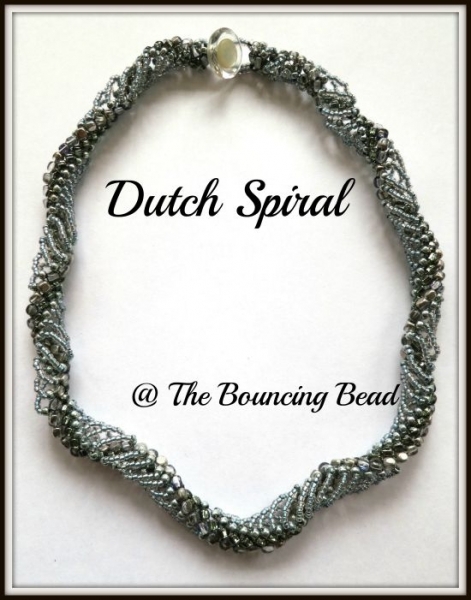 We will intertwine seed bead strands with beaded crochet strands and braid together to form an absolutely gorgeous necklace. Eclipse Necklace is a reversible necklace that can also be worn two additional ways. 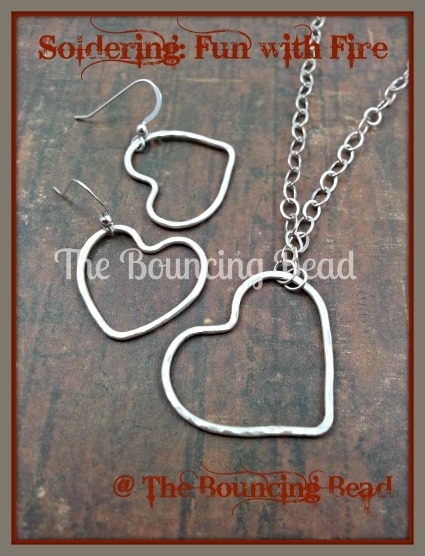 It can be worn long or doubled. The twisted Ndebele rope encircles two large Swarovski fancy stones entrapped in crystals and pearls. Because one stone covers the other, there is a total eclipse. Three rings not only add embellishment to the necklace, but also function to clasp the necklace when worn doubled. 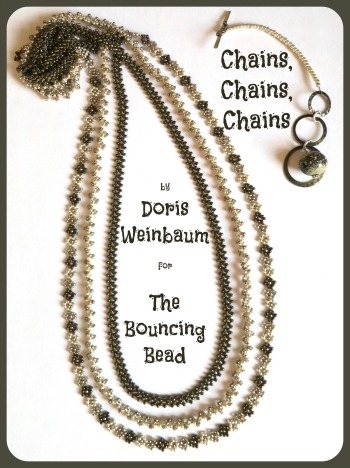 Learn to make these 3 versatile chains in 3 hours! Wear them together, wear them separately, or wear them doubled as a six-chain choker. Students will also learn how to make a necklace shortener that will hold that choker together. 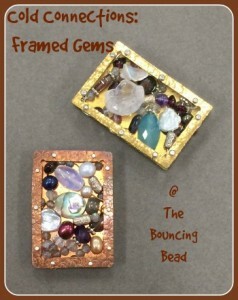 This class is appropriate for both beginners and experienced beaders. Bead crochet makes a flexible rope that wears well on its own or with an added focal bead. 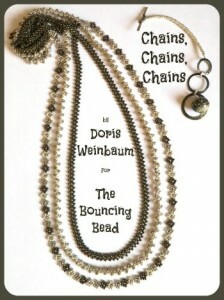 The beads are strung ahead of time and the project becomes very portable. Students will need individual attention to get the project started so the class size will be limited to four. 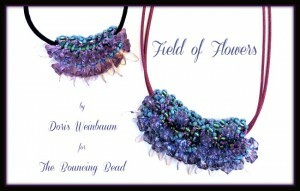 This class is appropriate for both beginners and experienced beaders. Not confident in your wire skills? 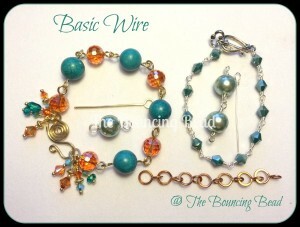 Freshen up your wire-working skills with this three hour Wire 101 & Wire 102 combo. 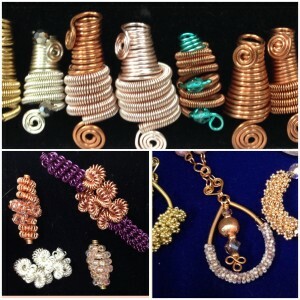 Mastering wire working brings a whole new aspect to your jewelry making! You won't regret it! 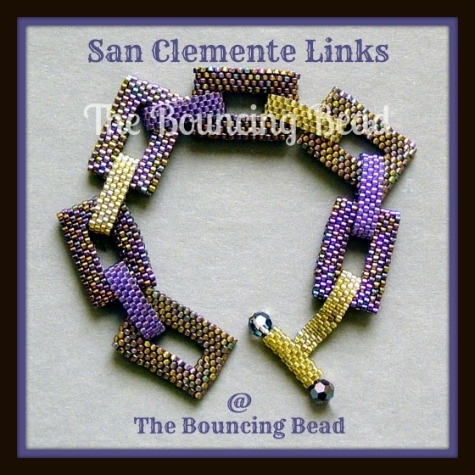 The Southern California Local Bead Store Association (SCLBSA) has done it again! 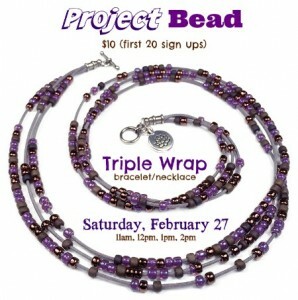 Join us for the new Project Bead (formerly Beader's Night Out). The cost is $10 for the first 20 total sign ups. Only five per class, so don't wait! 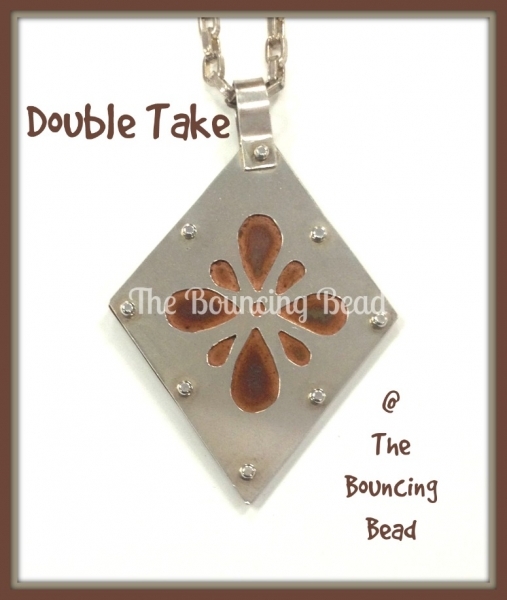 This pendant has a beaded tube as its base. 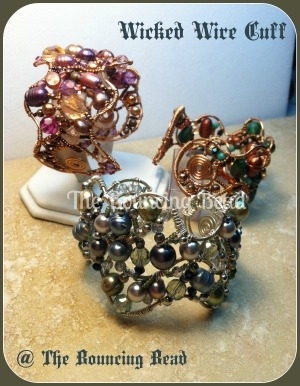 It is then be embellished with flowers, leaves and daggers. 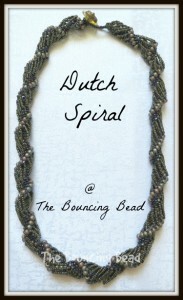 Once made, it can be simply strung on a cord or incorporated into a more intricate beaded necklace. Cord finishing options will be discussed. 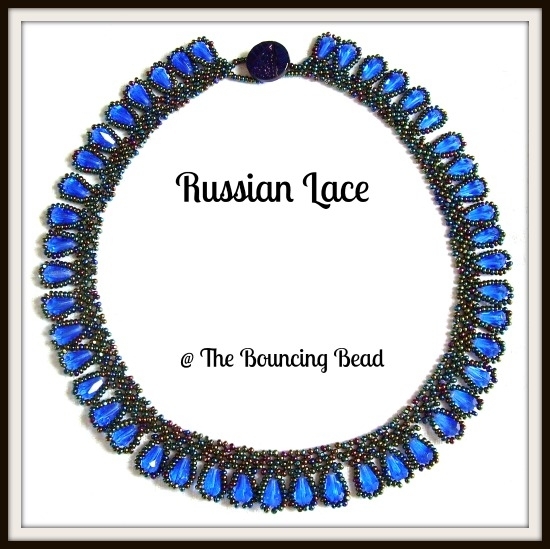 This class is appropriate for both beginners and experienced beaders. 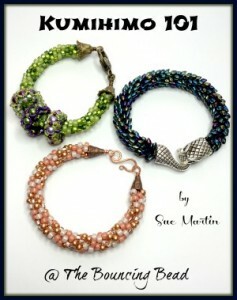 Aren't these beaded beads beautiful?! 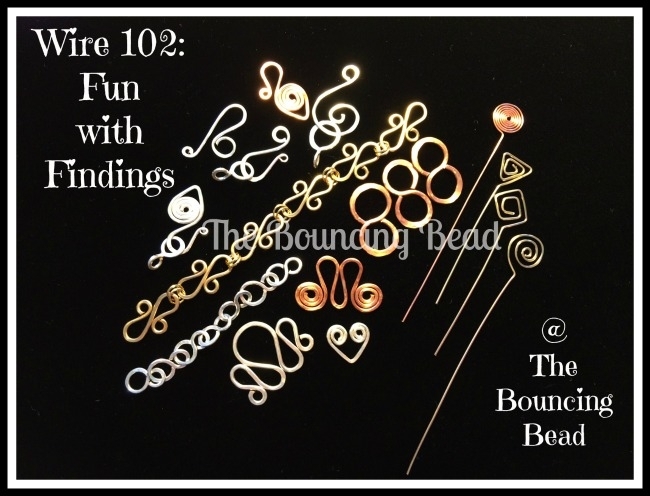 You will learn how to make large-hole beads and finish at least one in class. 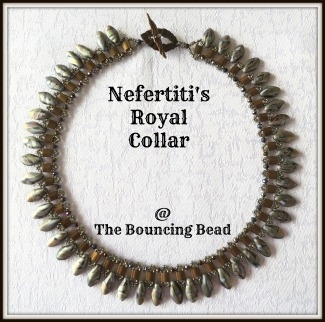 They are great for the larger rope-style necklaces, or a simple leather necklace. So versatile. Don't have time for two classes? Now you do! We have combined Stringing 101 and Wire 101 to streamline your learning. 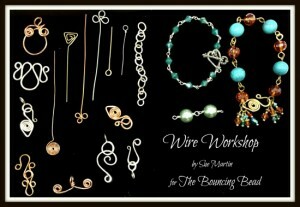 Learn the basics of stringing and wire to open a whole new world of jewelry-making fun. No experience needed. 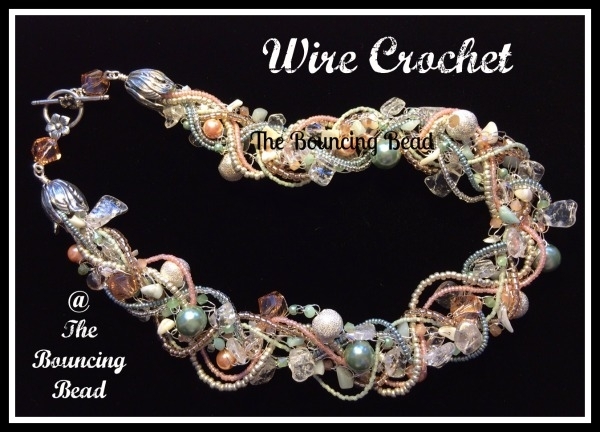 Bead Crochet – 1 SPACE OPENED UP!! Oooo, so many things you can do with the coiling gizmo! 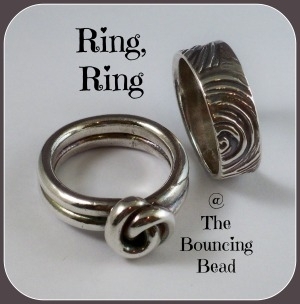 You can make that unique look with beads, bracelets, pendants, and the list goes on and on. And, if you have trouble finding just that right cone to finish your necklace or bracelet, the Conetastic is the answer! Talk about personalized jewelry!! We will be open from 1:30pm - 6:00pm today. We apologize for any inconvenience. Enjoy your day! 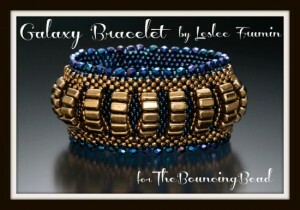 This bangle combines my two favorite techniques: wire wrapping and bead weaving. To start with, you will learn a very quick and easy way to bezel a rivoli. When you finish that, you will make a bangle using 14 gauge and 22 gauge wire. 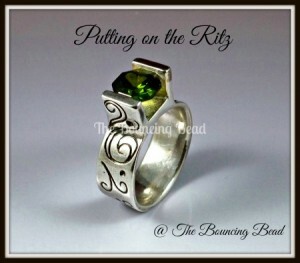 Using wire wrapping techniques, you will incorporate the bezeled rivoli onto the bangle. What a stunning bracelet! This class is an introduction to Kumihimo, an ancient Japanese braiding technique. You will learn how to set up your disk using the basic 8-strand braid. 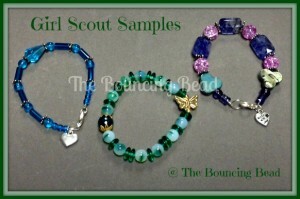 You will also learn the different effects achieved just by changing the beads you use. I'll show you several ways to finish your design. We will be making a bracelet that will be completed in class. Are you new to the beading world? 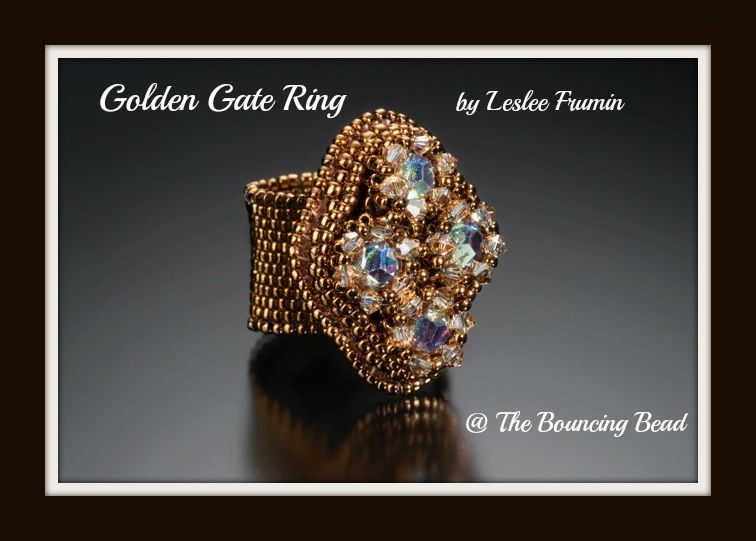 Would you like to get started on a fabulous journey of making your own jewelry? Then this is the class for you! 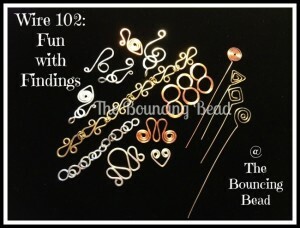 You will learn about beads, beading supplies, stringing materials, and all the little extras that go into jewelry making. 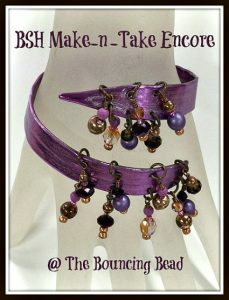 In this class you will make a bracelet that you can wear out the door! We supply the findings, all you need are beads. This wonderful stitch is a variant of tubular netting. It is very flexible and works great for bracelets and necklaces. 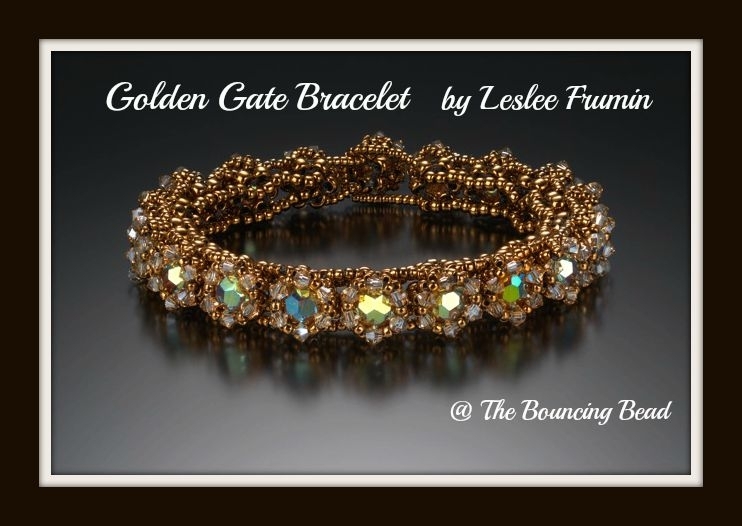 We will be making a bracelet in this class using seed beads, and 3mm and 4mm beads, but I will show you many different looks all done with the same stitch, but using a variety of beads. Russian spiral works up pretty fast once you get started and is a good stitch for beginners. CLOSED – HAPPY MEMORIAL DAY!! Talk about unique!! These cuffs can be as wide or narrow as you like, with a few beads or every last one from your stash! You can make them blingy or matte...it's all up to you!! This stunning piece features 30 mm flat backs set so the pendant suspends from a linked chain, and is reversible. 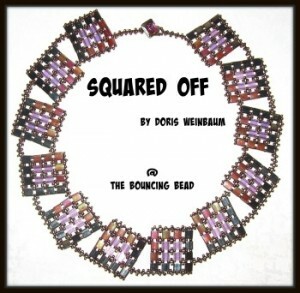 The linked chained pendant can be removed and the closure can be worn as a necklace on the Ndebele chain. The unique closure is also reversible. 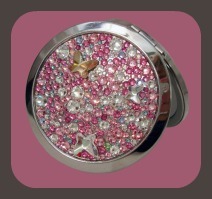 The closure operation is based on a safety clasp used in metalwork jewelry. Simple and clean lines add drama to the necklace. Stitches include: Peyote, ladder and Ndebele. The diamonds in this classy chain are formed with round and cube seed beads, and the 4mm cube crystals add sparkle. 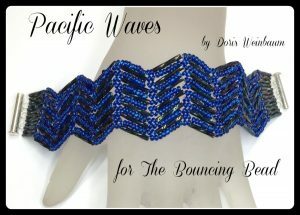 This bracelet is three layers of the chain that are connected as you weave, making a beautiful and interesting pattern. 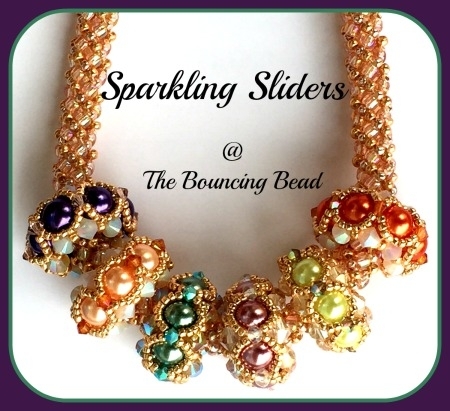 This class is appropriate for both beginners and experienced beaders. 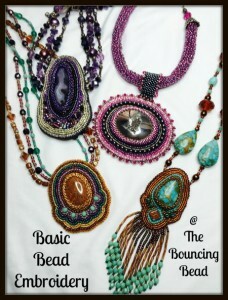 If you've missed the last bead crochet classes, don't hesitate to sign up now! There is very limited space. Check out the Bead Crochet Finishing Techniques on August 13! 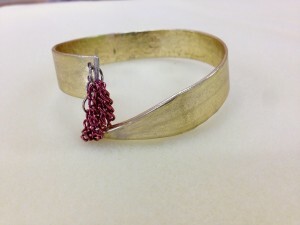 Have you seen the bead embroidered cuff at the store?!? If not, you must stop by and see it. You will have the knowledge to make pieces like that when you take this class. You'll start with a fabulous pendant, but once you learn that, the sky's the limit (ok, it might be your imagination again). 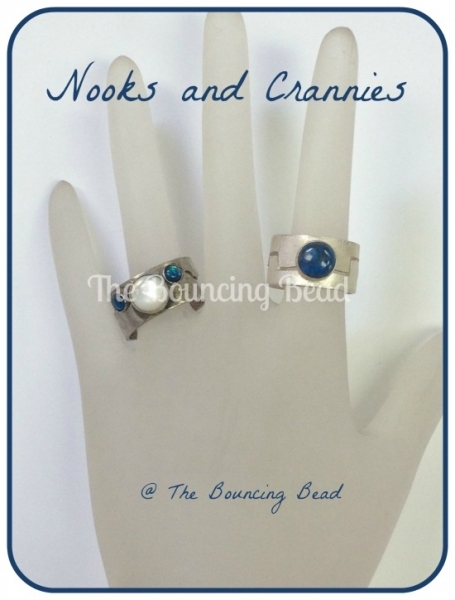 Did you miss out on our make-n-take for Bead Shop Hop 2015? Fear no more, it's back for an encore! This knitting needle cuff was very popular during the Shop Hop, and it still is! 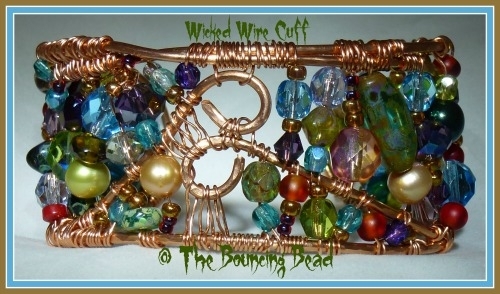 Let Sue show you how to make this fabulous cuff with embellishments. This project includes pounding with a chasing hammer, so you'll get some great stress relief! All materials are included with class fee. 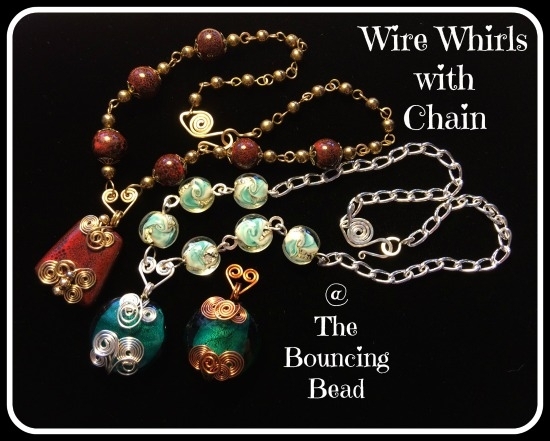 Join us for a fabulous time with the Bead Shop Hop 2016! Come to The Bouncing Bead and pick up a passport, receive a charm related to our theme, and have some fun! We'll also have make-n-takes, gifts with purchase, snacks, and prizes!! What? You say you've never participated in a Bead Shop Hop?!? 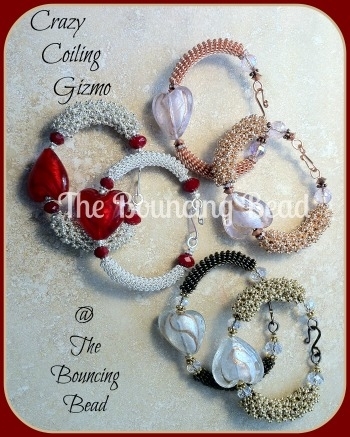 Stop by The Bouncing Bead and we'll get you started!! 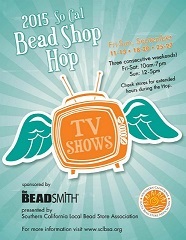 The first weekend of Bead Shop Hop 2016 comes to a close. Have no fear! It starts all over again next Friday! Here we go....the second weekend begins! Second day of the second weekend. You haven't started yet?!?! You'd better stop by and pick up your passport! Ok, I hope you're piling up those store stickers. If not, you have one more weekend to go! I think we need caffeine!! 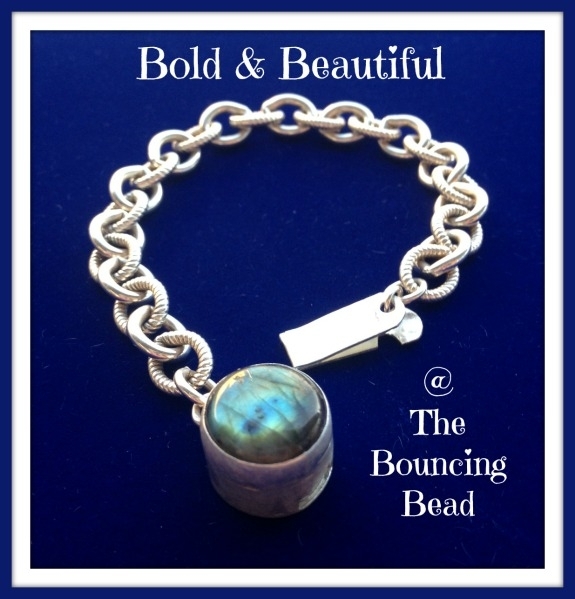 BEAD SHOP HOP – LAST WEEKEND!! Get moving!! There's lots of stores to visit and you're running out of time! Did you miss a store? 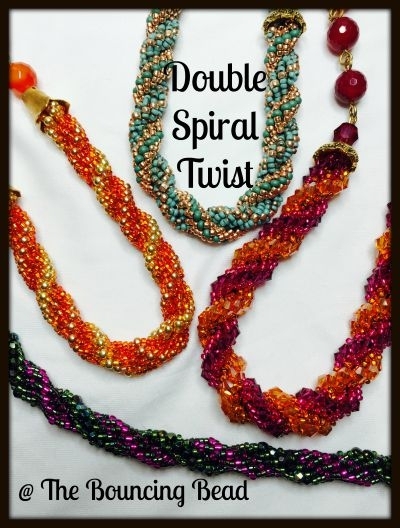 BEAD SHOP HOP – ALMOST OVER!! Last day of the Bead Shop Hop 2016. I hope you had a great time!! We're open until 5:00pm today for those last minute peeps! 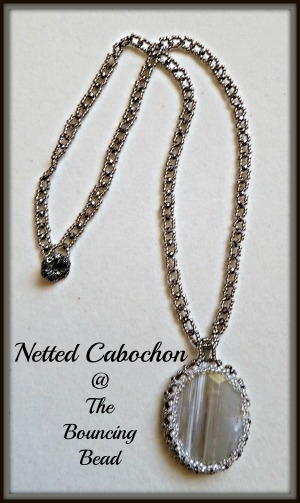 This necklace lays beautifully on the neck. 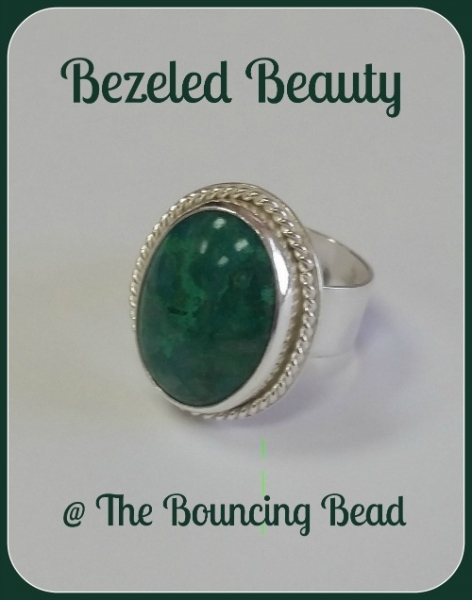 It can be made in a solid color or it is fun to play with colors and patterns - your choice, but either way, it will be a stunning piece to add to your wardrobe! 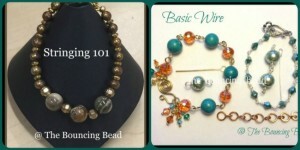 This class is appropriate for both beginners and experienced beaders. This fabulous bracelet is composed of peyote stitch rectangles, links, and a built in toggle finished with two crystals. The rectangles use increases and decreases and a layer-building technique to create a sturdy link. 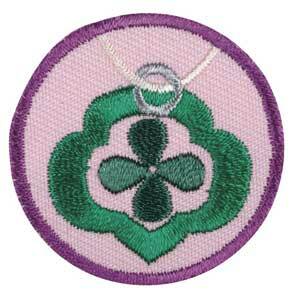 Knowledge of peyote stitch is helpful but not required. 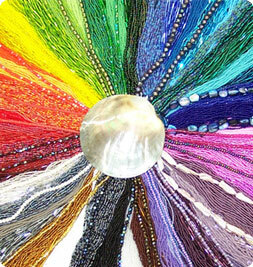 Are you new to the beading world? 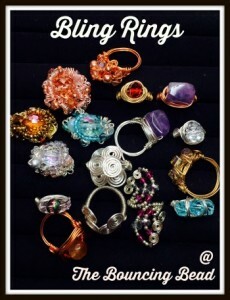 Would you like to get started on a fabulous journey of making your own jewelry? Then this is the class for you! Everyone needs to start somewhere, so sign up now and experience this great craft! 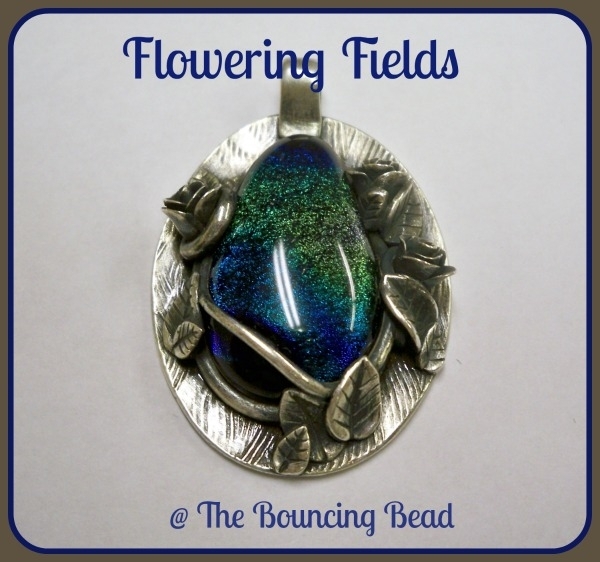 Capture a cabochon or a favorite large button in a netting stitch to make a stunning pendant. 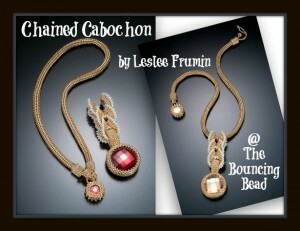 The netting is wrapped around the button and then secured by adding rows on the front and back of the pendant. 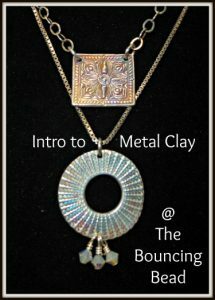 Students will also learn how to make a sleek right angle weave chain, perfect to hang their beautiful pendants on! 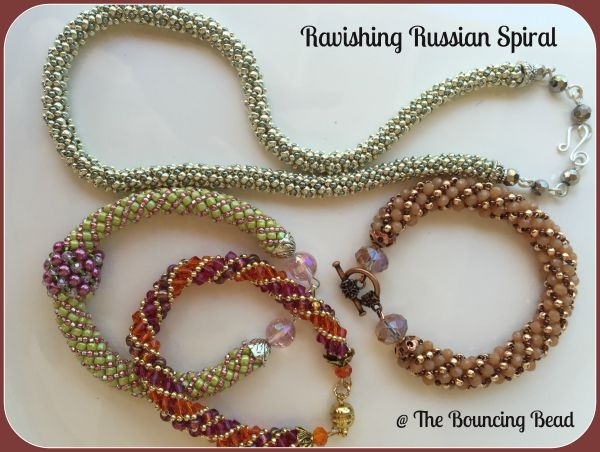 This class is appropriate for both beginners and experienced beaders. Looking for something new and different? Then try precious metal clay! Learn how to form, stamp, mold, create, carve, curse (no, just kidding), a piece that will be uniquely your own. You need only bring your imagination because all materials and tools are included in this class! 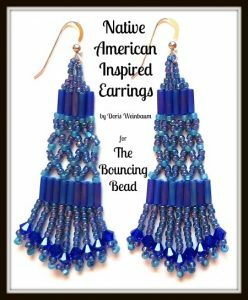 These earrings have an extra section of netting to embellish a more traditional Native American earring. 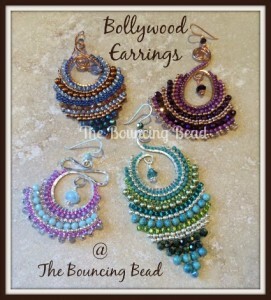 They can be dressed up or down, depending on your fringe beads, and are a fun earring for the holidays. Make some for yourself and some to give as gifts! 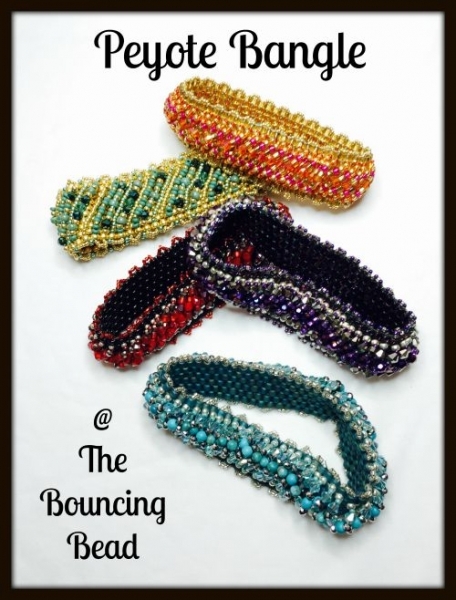 Use bugle beads and seed beads, add herringbone stitch, and voila, a beautiful cuff bracelet! Shorter or longer bugle beads can be used to change the look. 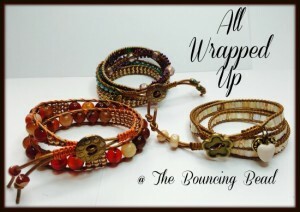 These make great gifts!!!! 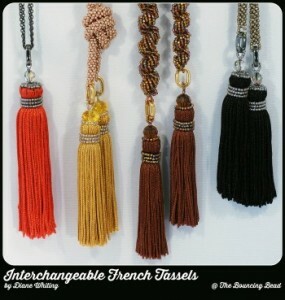 These little guys are so versatile and gorgeous. 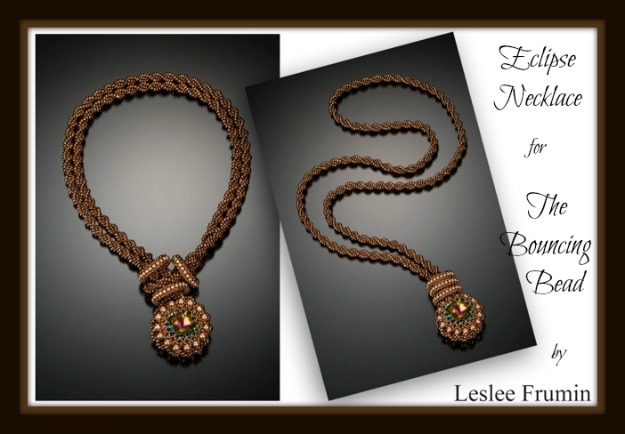 Any variation you can come up with, maybe just one on a leather cord or three on any seed bead necklace will make a great gift. Easy and quick to work up, you'll have your holiday gifts done in no time! 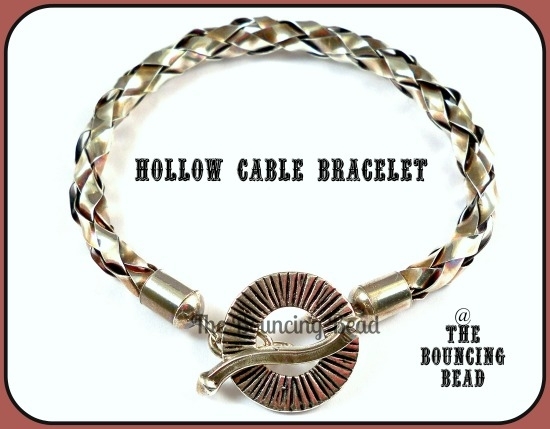 This bangle combines my two favorite techniques: wire wrapping and bead weaving. 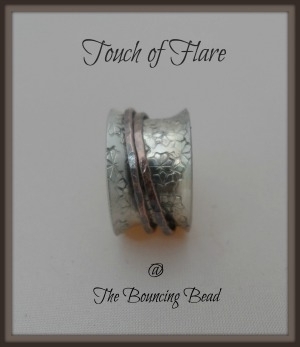 You will learn a very quick and easy way to bezel a rivoli, and make a bangle using 14 gauge and 22 gauge wire. 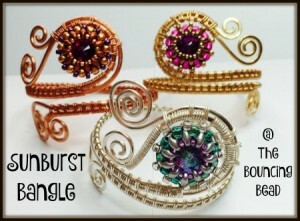 Using wire wrapping techniques, you will incorporate the bezeled rivoli onto the bangle. 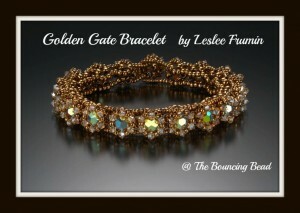 What a stunning bracelet! Are you feeling the pressure? Don't have everything completed yet? 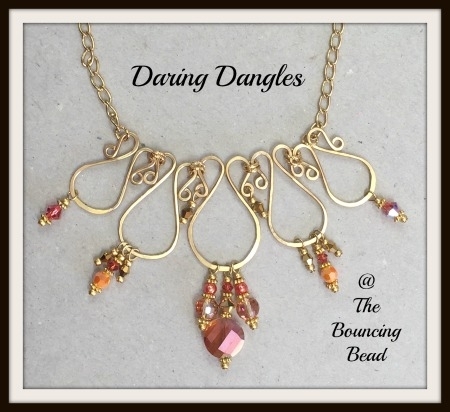 Stop by The Bouncing Bead on Saturday, December 17, and we'll show you how to make some great and quick jewelry gifts, and help with the details. No reservation required. Don't stress, we'll help!